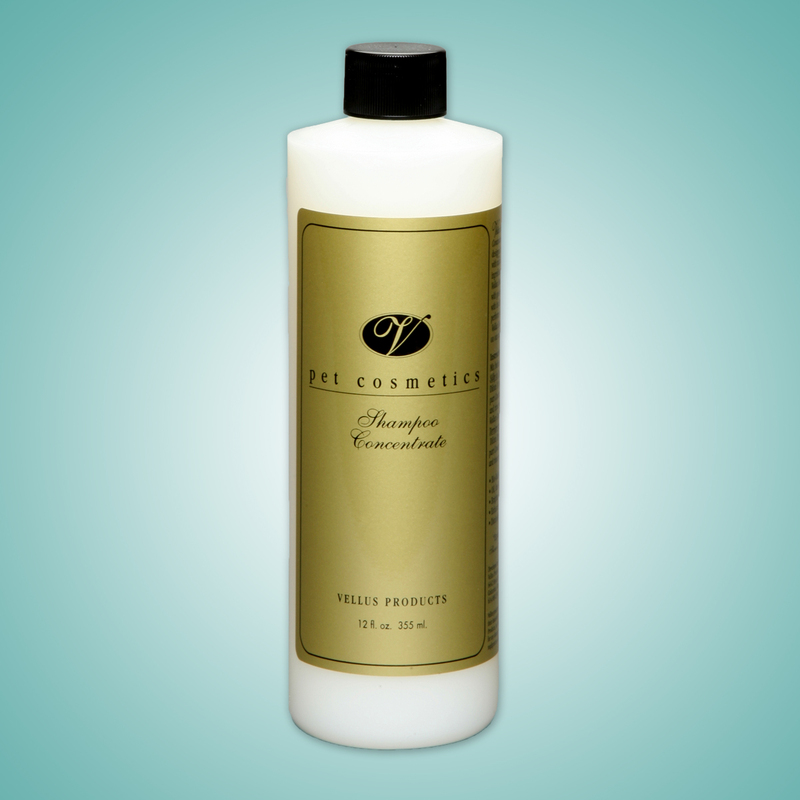 Vellus Show Shampoo Concentrate brightens whites, enhances contrasting colors and provides a high shine while being soothing to the skin. The natural ingredients chosen for the Vellus Show Shampoo are cosmetic grade offering a true salon shampoo for dogs and cats. 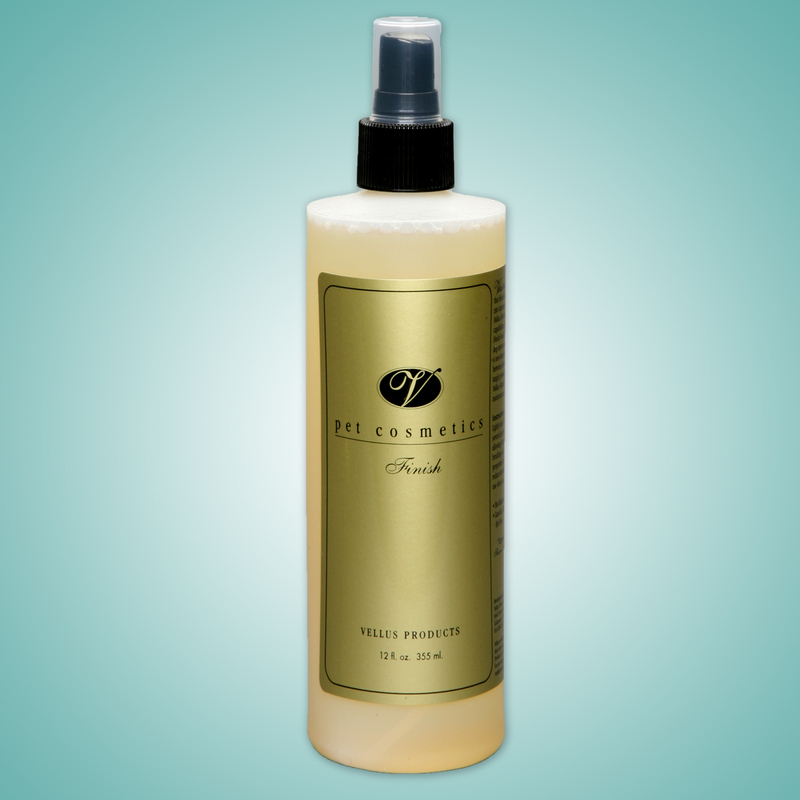 Vellus Show Shampoo cleanses well with quick rinsability. 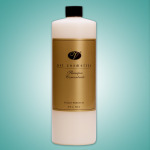 It brightens whites, enhances contrasting colors, provides a high shine and is soothing to the skin. 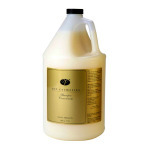 Vellus Show Shampoo Concentrate is low-sudsing and a high profile cleanser. 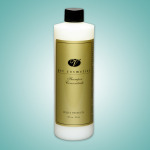 Silky to Smooth coats, dilute 10 parts water to 1 part concentrate. Coarse and wire coats, dilute 20 parts water to 1 part concentrate. For spot stains, use the concentrate full strength. Oil and lanolin free. I recently purchased this line after doing some research. I have a Chinese Crested powederpuff and his coat always matts and tangles after washing. I purchased the shampoo, conditioner, stabilizing spray and vellus cream. Absolutely amazing results. His hair did not tangle after washing. I highly recommend the vellus line to anyone considering high quality products for a reasonable price. I use these products on a Skye Terrier with excellent results. Specifically, I use the show shampoo, conditioner and Satin cream. 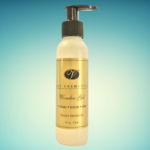 I like that the products just leave the coat smelling clean without a perfumed scent. After all, who wants a terrier that smells like flowers! 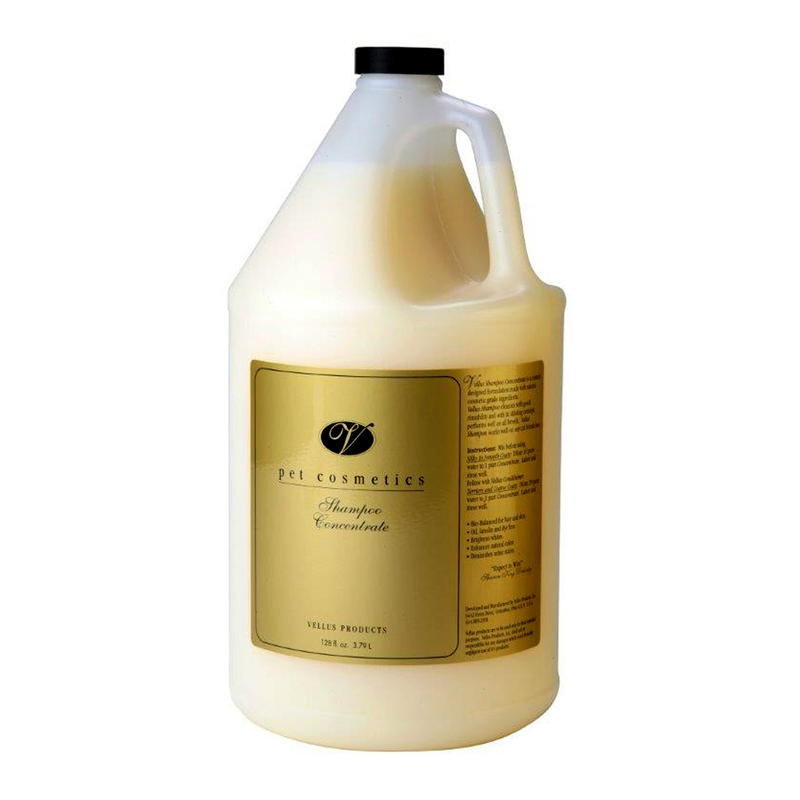 Also, I dilute the shampoo to one capful per 16 ounces of water, and this ratio preserves the desirable, wiry texture of the coat. I’ve been using the Vellus Show Shampoo and Conditioner on our Coton De Tulear since he was born. He’s almost 2yrs old now. The Vellus products are excellent! They keep his coat shiny and bright. Coton’s have long white hair that feels like cotton and mats easily. Since it’s hair and not fur he needs bathing once a week. The conditioner does a great job of helping to limit matting and the products are non-drying to his skin. I wouldn’t use anything else on our baby!